Well, I finally finished my first render with Renderman. 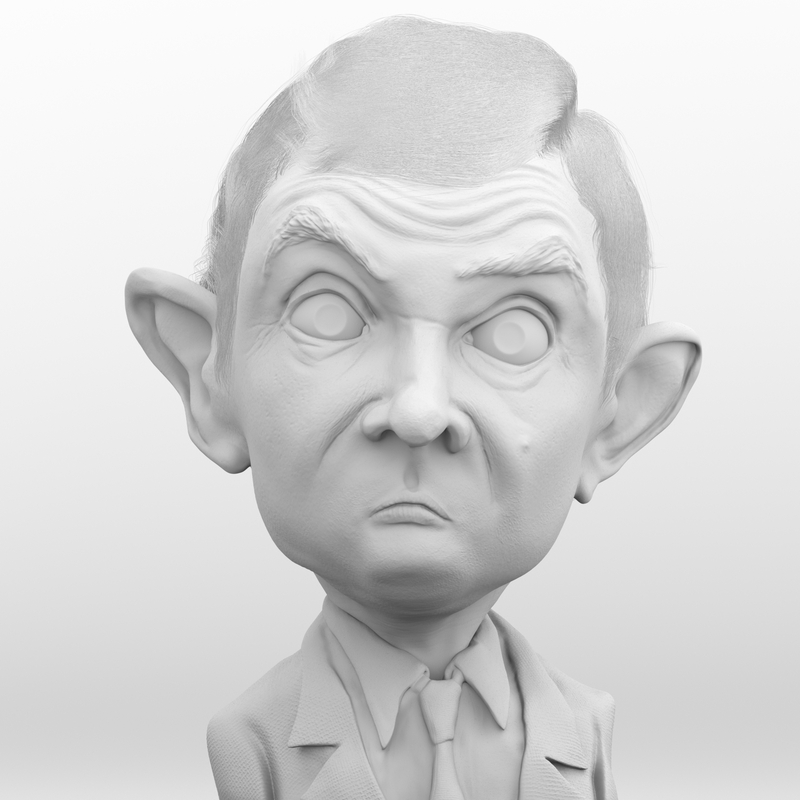 I made the model in ZBrush using a caricature from Jit Leong as reference ( www.caricature.com.sg). I have not used displacement, I just reduced the number of polygons with decimation Master in ZBrush and I've exported the model to Maya. 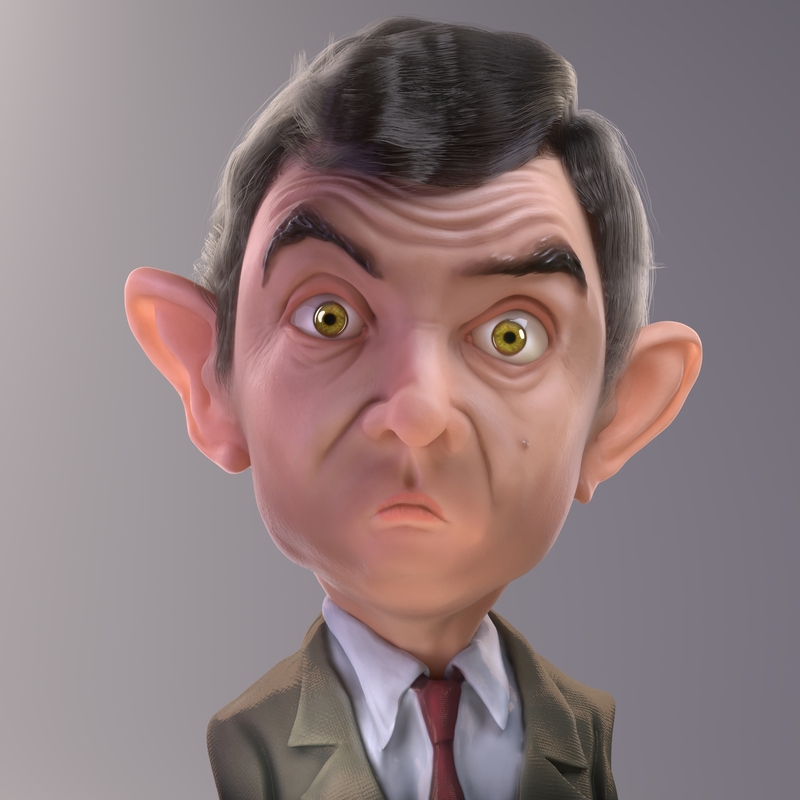 You can render Mr. Bean yourself! It's a great way to see how to set up skin and hair shaders. Download the Maya Scene already set up to render with RenderMan. Assets include the original ZBrush Sculpt. Scene updated by Leif Pedersen. Bruno Ponte is a digital sculptor and lighter living in Barcelona, Spain. This 3D caricature is property of Bruno Ponte. All Rights Reserved © Bruno Ponte. For personal use only. Commercial use is prohibited. Not for redistribution without permission.